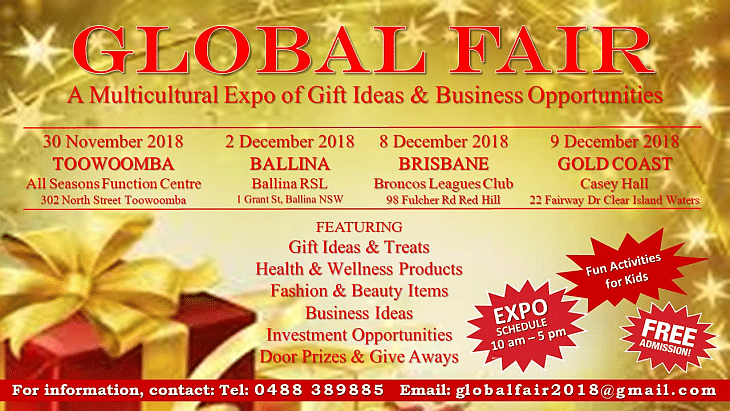 All are welcome to attend the Global Fair Expo with Free Admission from 10am to 5pm. There will also be a Global Fair Dance Party with a live band from 6pm onwards. Tickets $30 at the door. The All Seasons Function Centre is located on the corner of Tor and North Streets, Toowoomba.